Born in Belgium around 1902, he immigrated to England prior to the outbreak of the First World War, remaining there until moving in 1920. Arriving in Canada, he settled in the Somerset district, teaching locally for several years and marrying Germaine Rocan (1905-1946) in the Rural Municipality of Lorne on 7 April 1931. The couple had no children. Shortly following the death of his first wife, he married Colette Marie Rocan (1920-1992, later married to Bill Goerwell). They had two children. He continued his teaching career in Winnipeg, working in St. Vital schools, including service as Principal of Vermette School (1940-1941). During the 1940s, he resided at 156 Lawndale Avenue in Norwood. He worked with the Sanford Evans Statistical Services starting in 1939 and later was employed by the Winnipeg office of the Monarch Life Assurance Company from 1948 until his death. He was a founding member and the first President (1947-1948) the St. Boniface Optimist Club and an executive of Life Underwriters’ Association. In 1945, he joined the Knights of Columbus, serving as District Deputy (1946) and State Deputy for Manitoba (1949). He died at Portland, Oregon on 15 August 1949 while attending a Knights of Columbus Supreme Council convention. His body was returned to Manitoba for burial in the St. Boniface Cemetery. “Morning bridal united Carmel Rocan and Celestin Labossiere,” Winnipeg Tribune, 23 July 1938, page 11. “Knights of Columbus meet at Flin Flon,” Winnipeg Free Press, 13 December 1946, page 9. “Charter presented to new Optimist Club,” Winnipeg Tribune, 25 November 1947, page 4. 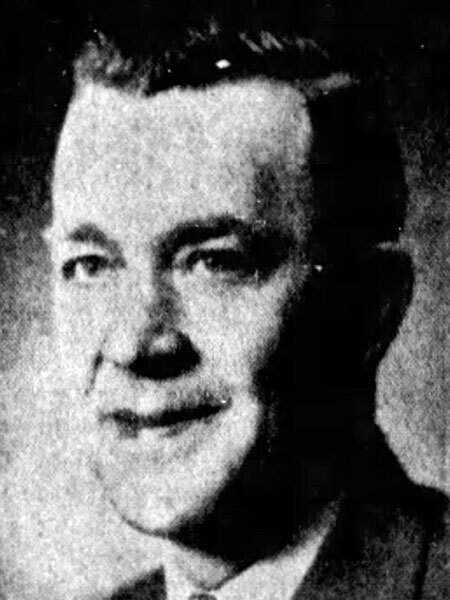 [Photo caption], Winnipeg Free Press, 30 April 1948, page 11. “Paul Paccaert chosen K of C State Deputy,” Winnipeg Free Press, 25 May 1949, page 5. “K. of C. head dies at meeting,” Winnipeg Tribune, 17 August 1949, page 15. “K of C Deputy dies during meet,” Winnipeg Free Press, 18 August 1949, page 12. “Requiem Mass sung at Basilica for P. Baccaert,” Winnipeg Free Press, 23 August 1949, page 23. Obituary, Winnipeg Free Press, 20 August 1949, page 14. “Parkinson - Baccart,” Winnipeg Free Press, 8 October 1966, page 15. Obituary [Colette Marie Goerwell], Winnipeg Free Press, 15 August 1992, page D55.